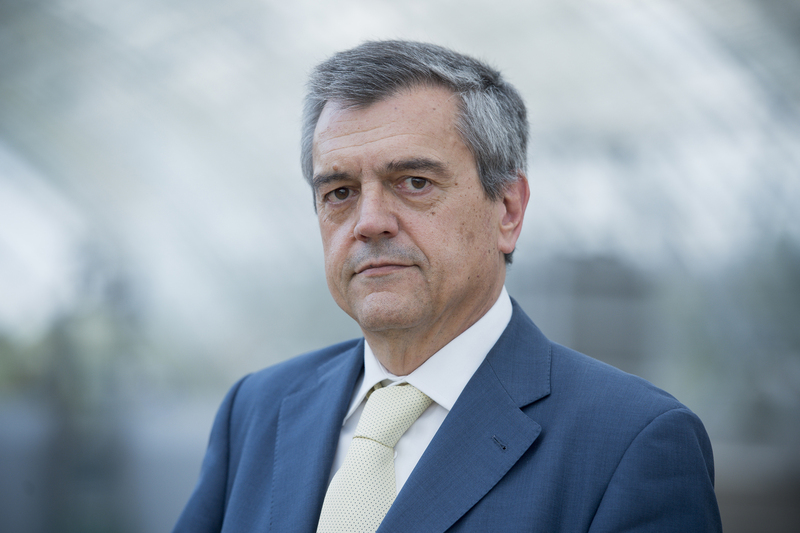 José Viegas is the Secretary-General of the International Transport Forum, an organisation under the OECD umbrella. Before joining the ITF, he was professor of Transport at the Technical University of Lisbon and worked as consultant. Viegas was a speaker at this year’s European Transport Forum. He spoke to EURACTIV’s Jorge Valero. How far are we from ‘vision zero’, the project which aims to achieve a highway system with no fatalities or serious injuries? Progress has been made, but experts warn there is a tough road ahead. As the name says this is a vision. It must become a common goal that is acceptable by all, and achievable. But as it happens with any successful vision, it requires shorter term targets. So the ‘vision zero’ and the reduction of 50% of the people killed on the roads, in the UN decade of action [for road safety], are totally compatible. What countries are best-equipped to progress? It depends on how you interpret this sentence. Already, when the decade of action started, there were some countries which clearly had much safer roads than others, like the United Kingdom, the Netherlands and Sweden. They didn’t make great progress. They have improved, but not as dramatically as some others. There are relatively quick wins if you do a number of things right. Which countries have shown more progress? Between 2000 and 2010, the two countries with strongest gains are Spain and Portugal, with around 60% each [in the reduction of number of deaths]. Do they share a common recipe for their success? There are similar things, but with slightly different adaptation(s), which is always necessary. In both cases, there was a significant improvement in the quality of infrastructure, very aggressive education campaigns, and active enforcement of some measures, instead of enforcing everything. Some rules were particularly targeted, and this focused enforcement led to a change of behaviour. The target of halving the number of deaths on the roads was reached in the past decade, and it is on track for 2020. But what is missing to guarantee our success? To some extent, in many countries it is the quality of the data. In countries that you have good data, you can see not only how much progress has been made, but also in which areas progress has not been so good. When you have patchy data, all of this is much more difficult. Making policy decisions on the basis of poor data is impossible. Regarding driverless cars, will it be more risky sharing the space with standard cars, as they would adapt to human behavior with more difficulty? It is something that has not yet been studied in great depth, but this is my intuition. It is certain that the driverless car by itself will be a lot safer than human-driven cars, as many studies have proved. This is clear because you can programme for systematically defensive behavior, instead of aggressive behaviour. Driverless and human-driven cars sharing space will create new types of risks. But I believe even then, unless human drivers do it on purpose, driverless cars will be able to detect strange behavior by the neighbouring human-driven car, and possibly adapt its own driving [in response]. This is something that can be managed. How dangerous will the transition be when a human driver takes control of a driverless car? Today, manufacturers like BMW and Mercedes are introducing automatic driving in the motorways, while in complicated [situations], they will hand over [control] to the human driver. That is a predictable thing, because they know they are approaching a complicated section, as they have all the maps on board. But in a situation where you have a 99.9% computer-driven car, including in urban areas, and you only call the human driver for the more ambiguous situations, this can be a problem, because the the attention of the human driver is not as high as it should be, to allow an intervention in less than half a second. This is something that requires the program to put the human driver in a state of pre-alert, with some anticipation. How different will the mobility model be in the years to come? It’s clear that [it will be different]. Today we have three vectors of change: automation, electrification and sharing. They are opening very new possibilities, and we don’t know yet what will come. Too many things are changing at the same time. But over the last 30 years, our mobility model has not changed much. Are you suggesting that changes to come will be exponential? Yes. We had incremental changes. Now we have three major vectors of change at the same time. One thing we know in most our cities is that congestion is getting worse every year. Traditional public transport is not sufficiently attractive that most people will move from their cars to public transport. This may change with the new concept of sharing mobility, something which we have done a lot of work on. If you do it with driverless vehicles, it becomes much cheaper, with good, flexible and comfortable service. This will open gigantic areas of public space, because you will need maybe 10%, at the most, of the parking space of today. Will these three vectors increase our quality of life? I hope so. They will certainly make the problem of emissions coming from the transport sector in urban areas largely solved. We will dramatically reduce the amount of people killed or seriously injured on the roads. These two alone are major gains. I hope that because this element of sharing, especially if combined with the element of automation, we can also solve the problem of congestion. Our own mobility agenda will be different. We will move differently. The number of deaths on the road has increased recently in countries like France, because of cheap oil. Could electric cars bring also this negative side effect? Not only in France, [but] also in several other countries. The operating cost per kilometer of the electric car is much lower than the gasoline car at the low prices of today, something around one fifth of the price. In that respect, if we take into account only electrification, it could be even more dangerous, because there will be more vehicles on the roads. You really have to look at the three things together.